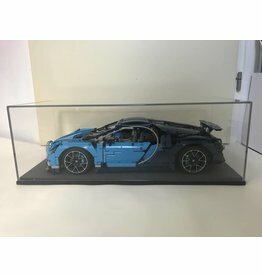 The display case is slightly larger than the standard models and therefore special collection objects with unique formats fit under the dome. 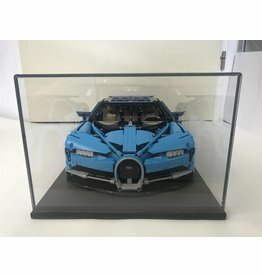 Designed for the LEGO® Technic Bugatti Chiron. 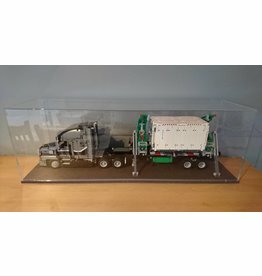 The display case consists of 2 parts. An acrylic dome on a Solid Black M.D.F. bottom plate. Not a construction kit. The dome is manufactured from 3 pieces of acrylic connected with UV-glue. Sharp edges are polished with a flame. 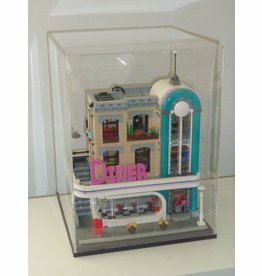 The display case is slightly larger than the standard models and therefore special collection objects with unique formats fit under the dome. 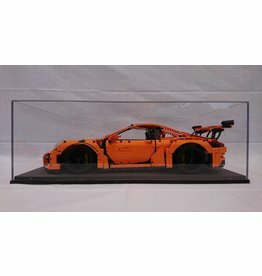 Designed for the LEGO® Technic Porsche 911 GT3 RS. The showcase consists of two parts that fit perfectly together. The cover is made of 4 mm thick acrylic.